How Are Buyers Paying For Homes? Everyone that knows me, knows that I like spreadsheets and statistics. I guess that I would have been a good actuary. The real estate market has been really strong for us in the Greater Cincinnati, tri-state area and I would think the mild winter may have played a big part in that. Since we didn't have any big snows, ice or frigid weather, buyers just kept on looking and buying. 41.2% of buyers used conventional financing. Conventional financing used to mean at least 20% down but many lenders now have programs with far less required as a down payment. FHA financing is listed as being used for 23.6% of sales. FHA requires the buyer to have 3.5% down. Cash was used in 20.8% of sales. VA was involved in 4.8% of sales. Most lenders will ask buyers if they served in our military and if the answer is yes, then see if the buyers are eligible for VA financing before trying other options. USDA or Rural Housing was used in 3.5% of sales. This type of financing doesn't require a down payment but there are income limits for buyers and some areas aren't eligible. What Is Real Estate Agency? Whether you have been involved in the sale of real estate in the past or you are just now considering buying your first home, it seems that clients don't really understand what "real estate agency" is. Years ago, when a home was listed with Company A and a buyer was using an agent with Company B, that buyer may have thought that B was representing the buyers interests. That wasn't the case and real estate law stated that everyone represented the seller and the buyer was a customer. That changed in the 1980s when buyers agency began. Listing only agents, list properties and represent the sellers. They let other agents represent buyers for those properties. Buyers agents represent buyers only and look for properties for them to buy. Some buyers agents use an exclusive buyer agreement that states if the buyer buys, the agent gets paid, no matter what happens. Check with your buyers agent to see if they use that form. Dual agency is legal in Ky. and Ohio, which means that one agent can list the property and then represent both buyer and seller, as long as both parties agree to that in writing. A dual agent walks a fine line, cannot take one sides position over the other and owes each side the six rules above. When an offer is written on a property, a second disclosure must be signed by both sides, stating which agent represents which client. Is it two agents with two separate companies? Two agents with the same company? One agent representing both sides? There is also a place for the agent to disclose if they have an interest in the property OR do they have a family tie to the client. As a buyer, you wouldn't want to get to closing and find out that your agent was part owner of the property or that it was owned by a family member of the agent. Agents are overseen by KREC (Ky. Real Estate Commission) in Ky. and in Ohio it is Ohio Division of Real Estate and Professional Licensing. If you have a real estate question problem, they are there to help. *I am licensed in Ky. and Ohio so I can only verify information for those two states. Real estate laws may differ from state to state so please ask a local agent in your area or contact an attorney for laws concerning your state. Buyers tell me all of the time that they need 20% down to buy a house. I tell them, sorry but that's incorrect. Here are the most used options that are available to buyers. VA-You qualify if you served 181 days during peacetime (Active Duty), served 90 days during wartime (Active Duty), served 6 years in the Reserves or National Guard OR you are the spouse of a service member who was killed in the line of duty. There isn't a down payment but there is a funding fee due, which ...is 2.15% of the purchase price for first time use. Most lenders will go with this option first. Conventional loans-Depending on the lender, as low as 3% down. Loans with less than 20% down will probably require PMI (mortgage insurance) until the buyer builds up equity. FHA-3.5% down but PMI is required for the life of the loan. You can buy a condo or single family home and you can even buy a 2-4 family if you intend to live in one of the units yourself. USDA (Rural Housing)-100% loans available in designated areas. You would be suprised at some of the suburbs that do qualify for USDA. There are some income restrictions depending on the number of people living in the household so this option is not avaiible to everyone. A good loan officer will look at your situation, give you options and explain how each applies to you. It happened again. Someone stopped by the office and asked if I knew of any homes for rent or maybe a "rent to own". I asked why they wanted to rent and they said that their credit score wasn't very good. I then asked if they knew what their credit score actually was and they replied that it was a 780. When I checked on the Internet, the national average was shown to be 692. The young buyer then said he was told he needs 20% down on a conventional mortgage. Sorry but wrong again. Lenders have many options to accommodate buyers. Yes, there are conventional loans with 20% down but if everyone waited until they had 20% down, there would be a lot less homes sold. FHA (Federal Housing Administration) requires 3.5% down but some lenders have conventional mortgages with 5% down and some even 3% down. USDA, sometimes called Rural Housing, has 100% financing but not all areas qualify for this financing. All of these loans require mortgage insurance (PMI) but interest rates are still at near historic lows. A recent first time buyer in my area purchased a home in the low $130s. They escrowed so that taxes and insurance are included. The entire monthly payment (principal, interest, taxes & insurance) is $700 per month. Two bedroom apartments in my area rent for $800 to $950 per month. The moral is, don't sell yourself short. Contact a lender to see what you qualify for. You may be surprised. Are you looking to relocate into the Cincinnati area? Boone, Campbell and Kenton Counties are the three Northern most counties in Ky. Many people live in Northern Ky. and commute daily across the Ohio River to work in Cincinnati. Even though our market has picked up this Spring, our homes prices compare favorably to many other parts of the country. As of 04/12/2016, there are 64-3 bedroom, new construction homes for sale ranging from $132,900 to $1,495,000. The median price for these homes is $235,950. Looking for 4 bedroom homes? There are currently 78, new construction, 4 bedroom homes on the market ranging from $159,900 to $1,250,000. The median price for new 4 bedroom homes is $419,928. Looking for an even larger home? There are 7, new construction, 5 bedroom homes currently listed from $215,000 to $1,299,000. the median price is $575,686. Hamilton & Clermont Counties are the two Southern most counties in Ohio. Cincinnati is located in Hamilton County. There are currently 151 new,3 bedroom homes available ranging from $139,900 to $1,295,000. The median price is $381,500. There are even 11 new, 5 bedroom homes from $339,000 to $3,100,000. Median price is $1,279,000. Our area does have a wide range of prices designed to meet varying needs. Many people confuse HUD Owned Homes with Section Eight Housing Assistance or even think that FHA financing is only for low income buyers. All the above programs are managed by HUD (Housing & Urban Development) but are all different. Most loans in the USA are backed by programs, directly or indirectly set up by the federal government. Without these entities, banks could not make fixed rate loans for 15, 20 or 30 years. A buyer can use FHA financing to buy a home or condo. They can also use FHA to purchase a 2, 3 or 4 family home as long as the buyer will occupy one unit as their residence, the government backs that loan for the lender as long as the lender strictly followed the FHA guidelines. Unfortunately, sometimes bad things happen to good people and for one reason or another, those buyers can't make the payments anymore and the bank will foreclose and take the house back. The bank can now choose to turn that house over to HUD for the dollar amount that they were covered for. The home owner is out of the picture, as is the lender, and the government (HUD) has a property to sell. HUD hires local companies, referred to as Field Service Managers (FSM), to go into the home, change the locks, clean out any belongings and do a brief inspection of the home. The FSM will try to check furnace, electric and appliances using a generator and put air pressure on the plumbing to check for leaks. This is not a complete , whole house inspection but you will have the opportunity to do inspections if your bid is accepted. The FSM will also winterize the plumbing, depending on the time of year. HUD homes are sold As Is, which means that HUD will not make any repairs that you observe or discover through your inspections. HUD has three main categories based on condition. The first category is Insurable, which means that the house is in good condition and a new buyer would be able to use FHA financing to purchase, without doing repairs. The second category is Insurable with Escrow, which means that a buyer could still use FHA financing to purchase but there are some repairs needed to meet FHA requirements. It is the buyers responsibility to borrow the amount needed to purchase PLUS the amount needed to make the repairs AFTER CLOSING. The third category is Uninsurable, which means that the property needs at least $5,000 in repairs. These properties are usually purchased by buyers using cash or rehab loans. FHA's version of a rehab loan is called a 203K. HUD Homes can be found on http://www.hudhomestore.com/Home/Index.aspx. HUD uses an online bidding process for offers so ask your agent if they have registered to submit bids for buyers. As always, talk to a lender first so you and your agent know how much house that you can comfortably afford. Your agent will ask for your legal name. The name has to be the same throughout the process so your name on the bank letter/proof of funds has to be the same on every form. The agent will also ask for your SS#, address, phone along with how much you want to bid. HUD will pay some closing costs but they look at bids from the standpoint of which offer nets the most for HUD. An offer that asks for closing costs, would not net as much to HUD as would an identical offer without closing costs. Since this home has been through the foreclosure process, it is highly recommended that you purchase Owners Title Insurance to protect yourself. Talk to your lender about this. 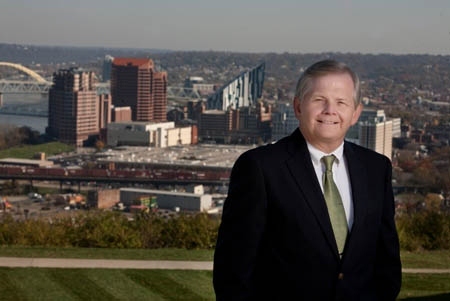 Frank Kramer is licensed in Ky. and Ohio and the information above is based on buyers in the Greater Cincinnati area at the time this was written. Please check with your agent about the process in your area. Which Month is The Most Active For Homes? What are the best months to buy and sell? Homes sell 12 months out of the year so the answer really depends on your situation. Many families with school age children buy between the time that school ends in the Summer but before the new school year begins. Not all home buyers have children so time of year may not be as important to them. Below shows the percentage of homes sold for each month over the past 12 months in the area. These may not equal exactly 100% due to rounding. September 2014 9%, October 2014 8.8%, November 2014 6.8%, December 2014 6.3%, January 2015 5%, February 2015 5%, March 2015 8%, April 2015 8.8%, May 2015 9.5%, June 2015 10.7%, July 2015 11.2% and August 2015 10.3%. Not as many homes are listed or sell during the "off months" but there also aren't as many buyers to compete with. You may have better odds of finding your dream home. The year 2016 marks a milestone in the City of Cold Spring's history. We will be celebrating our 75th Anniversary, and we are asking for citizen's input. If you have any photographs or if you have any stories or memorabilia regarding our city, we would appreciate your help. Please email to lisa.c@coldspringky.gov, or contact our City Clerk, Rita Seger at 859-441-9604. We would appreciate your help and input. So you are thinking of buying your first home and feeling a little overwhelmed. That's natural because no one has prepared us for a big step like this. Below are some steps that you should take to get ready. Get pre-approved. Organize all the documentation a lender will need to pre-approve you for a loan. You might need W-2 forms, copies of at least one pay stub, account numbers, and copies of two to four months of bank or credit union statements. Contact me so that I can guide you through the process. There are fewer home owners in the United States today than last year. The home ownership rate dropped to a 20-year low in the third quarter as more Americans became renters, another sign that the housing recovery is still mending from the Great Recession. But while millennials’ changing preferences often take the most heat for the decline in home ownership numbers, they can't take the blame for the latest dip, according to an article in The Atlantic. Instead, it’s Generation X, those aged between 35 and 44, who have had the sharpest drop in home ownership since the recession. Home ownership among the 35 to 44 age group has dropped 9 percent since 1994. As for the millennials, in the last 20 years, home ownership has fallen less for young people than for any other age group under 64, according to an analysis of the Census data by The Atlantic. Why are Gen Xers shying away from home ownership? Employment may be key. Researchers note that employees in their forties once outnumbered the 55-plus cohort in the workforce by 16 million, but now there are actually more workers older than 55 than fortysomethings. Overall, in the third quarter, the home ownership rate, seasonally adjusted, fell to 64.3 percent in the third quarter, the lowest since the fourth quarter of 1994, according to the Commerce Department. In 2004, the home ownership rate peaked at 69.4 percent.